As a neophyte to Mexican culture, I had no idea what mariachi bands were. Sure, we all hear Mexican music every now and then. But I was quite clueless. Friends who found out we were off to Xochimilco told us to make sure we get serenaded by mariachis. 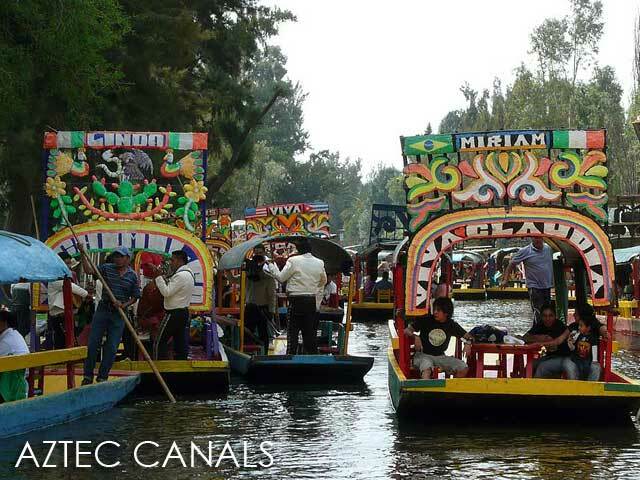 The Aztec canals and floating islands of Xochimilco are inscribed in the UNESCO World Heritage List together with the Centro Historico of Mexico City. Xochimilco, one of the delgaciones of D.F. (pronounced de efe) or the Distrito Federal is about 1 hour and 30 minutes from the Centro Historico via the Metro and the connecting Tren Ligero. Stepping out of the Tren Ligero station in Xochimilco, we were met by really helpful local guides outside and at every street corner who pointed us towards the embarcaderos, the docks where the trajineras are located. 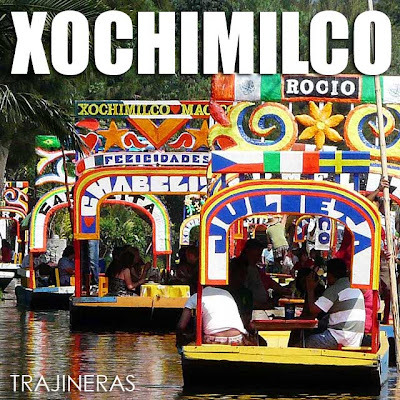 Trajineras are small non-motorized boats that were used to transport goods along the canals of Xochimilco. Today, these boats no longer serve that purpose and are instead used to take tourists for leisurely rides along the canals. In the olden days, these boats used to be decorated with flowers and juniper branches. But those have long been replaced by arches painted with really colorful designs. Each arch has a name on it, usually the name of the boat or a significant someone. 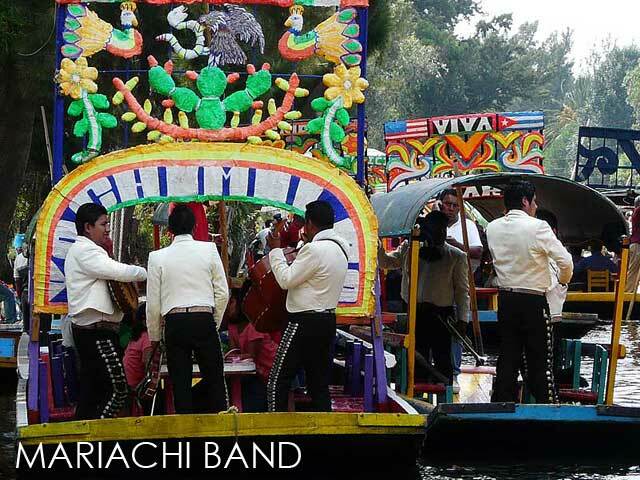 The highlight of any visit to Xochimilco are the trajinera rides through its historic Aztec canals. Nothing much to see as we walked to the embarcaderos. So I was anxious to find out what this was all about. 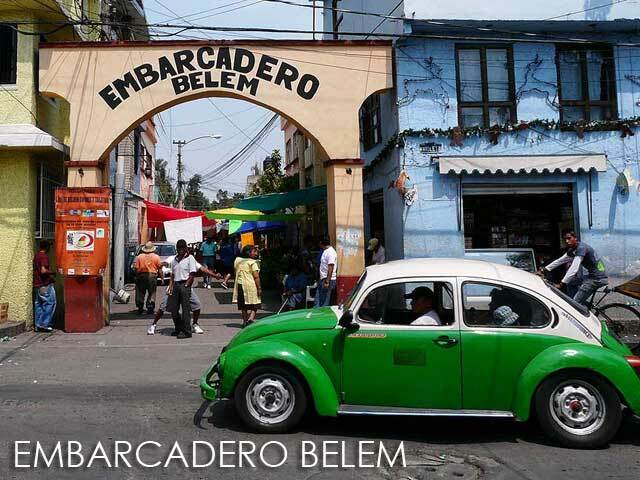 We finally made it to Embarcadero Belem, one of the nine trajinera docks in Xochimilco. They had fixed rates per person and we opted to take the 45 minute ride since it was already late in the afternoon and we simply wanted to experience these famed rides, even just for a while. Of course, my first question to our trajinero (I would think that's what they call the trajinera drivers) was "Where are the mariachis?" He pointed towards the direction we were going to and said they were further ahead. Like a gondolier, our trajinero weaved through the ancient canals built by the Aztecs. But he didn't sing though. That was the job of the mariachis. As we entered one of the main canals, we saw even more of these colorful local boats. And there in one of the boats was a mariachi band dressed in suits and tuxedos. Ah! They were the vital element that added charm to an otherwise uneventful experience. As we got nearer, I felt the festive atmosphere these bands created. Indeed, I was in Mexico! Their boats would dock with another boat filled with picnickers and they'd render some classical Mexican songs for a tip of course. But bystanders like us got showered with graces as we passed by boat after boat of these musical ensembles. 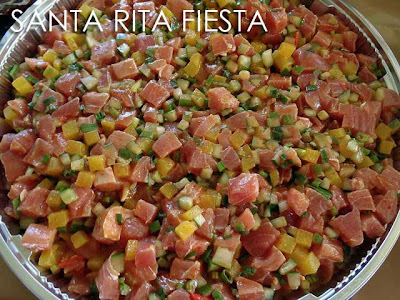 Many locals would rent these trajineras for hours to enjoy a lazy Sunday afternoon with food and drinks in tow. If you don't have food and you suddenly get hungry, floating stores and hawkers are all over the place. By the time we knew it, our time was up and we made our way back to the embarcadero. After enjoying a home-cooked meal at one of the residences which dished up some food for visitors (now that's tourism helping the local community), we made our way back to Mexico City. Then it hit me, our Mexican adventure was about to go full steam ahead. Xochimilco is conveniently connected to Mexico City's Metro. Take the Metro to Tasquena (MX$3) and transfer to the Tren Ligero to Xochimilco (MX$3). Long-weekends have become scarce with a change in the holiday economics policy in a year when most holidays fall on a Saturday or Sunday. So the upcoming four-day weekend will give holiday-starved Filipinos a welcome respite from work and a chance to travel. National Heroes Day on August 29 (Monday) has previously been declared a non-working holiday as part of Proclamation No. 84. Malacanang is also set to declare August 30 (Tuesday) a non-working holiday to mark the end of Ramadan or Eid'l Fitr. We're just waiting for the official proclamation. 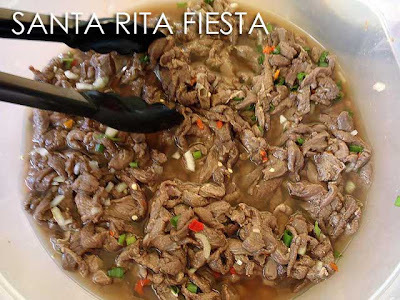 In the meantime, here's the list of Philippine holidays and long-weekend schedule for 2011. Philippine cuisine finally makes it to the pages of Esquire Magazine UK Edition. 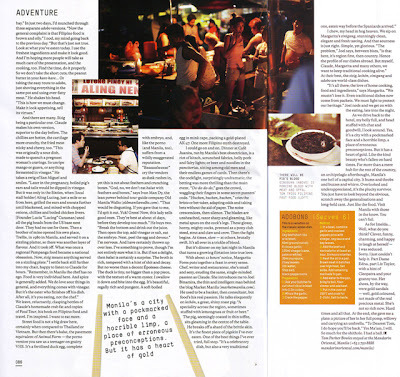 Several months ago, I was invited by British food editor and writer Tom Parker Bowles to introduce him to the food we have on a regular basis, street food if possible. I didn't realize that he was the stepson of Prince Charles until several weeks after our meeting, while I was on tour in Mexico. I took him to Market! Market! which to me is one of the closest things we have to a hawker center, featuring the different regional dishes and delicacies of the Philippines. It's fairly obvious that sisig is our bestseller! We then met up with my tokayo Ivan ManDy in Binondo for some Tsinoy food. But it looks like he left this one out of his story save for the balut under the tulay in Quiapo which was his special request. Of course Claude Tayag never fails to impress! Too bad I had to leave for the U.S. the next day since I would have loved to have another meal at Bale Dutung. Since Esquire Magazine UK Edition is quite scarce in the Philippines (it's the US Edition you see everywhere), here is the article which introduces Filipino food to readers in the UK. Hopefully Fully Booked still has copies in their other branches if you like to own your own copy. Update: To those asking about my comment on Mindanao, we had a very long conversation and many of the things I said were shortened for the article. Context is impression on Manila is affected by negative news from Mindanao (e.g. Abu Sayaff kidnappings or Maguindanao massacre). I told him that the problem is when the international community hears about kidnappings or terrorism in Mindanao, they think it's the entire Philippines. 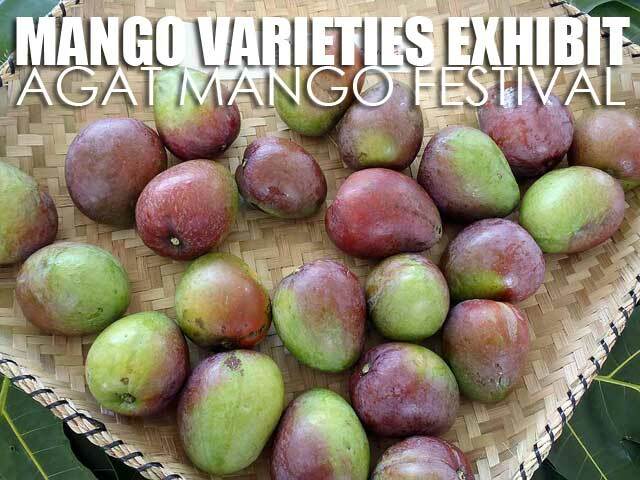 But it happens only in some areas of Mindanao. So while the problems are down south in Mindanao. It's not even the whole island. There are so many places worth visiting in Mindanao. My personal favorites would be the Agusan Marsh and Lake Sebu. I've even been to Sulu, Tawi-Tawi and Basilan as a tourist! 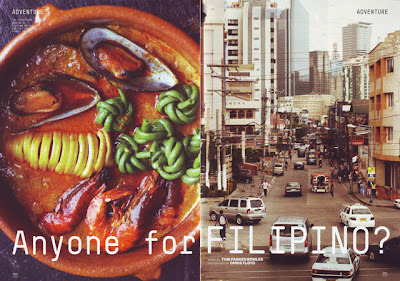 Check out my visits to Mindanao here. To get to Mexico, I had to pass by the U.S.A. 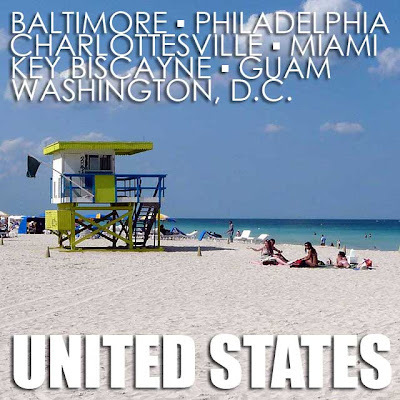 Here are photos from places I visited in the United States including Baltimore, Maryland; Charlottesville and Mount Vernon, Virginia; Philadelphia, Pennsylvania; Miami Beach and Key Biscayne, Florida; and Washington, D.C. After flying back to Manila, I visited Guam. Here are photos from the two trips which are now in the Ivan About Town FB page. It was my sixth time (technically seventh if you count immigration stamps) to visit Vietnam. And finally, I had the chance to fly over to Hanoi from Ho Chi Minh City. 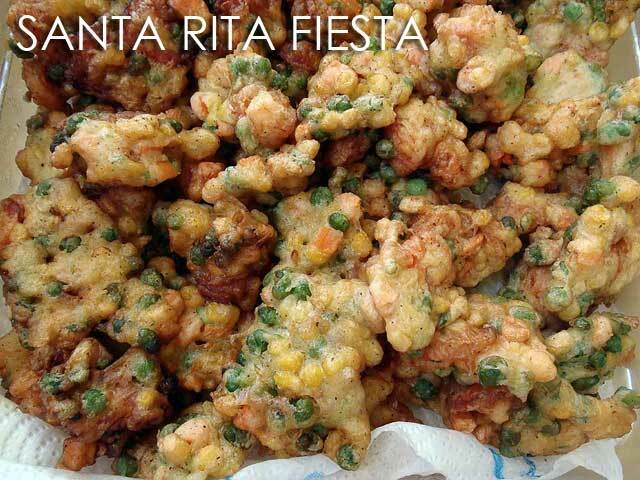 Too bad there are no direct flights from the Philippines. I also got to return to Hue and Hoi An and visited Ha Long Bay and My Son for the first time. 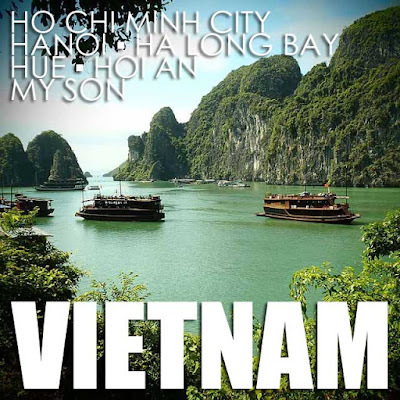 I actually coined my own term and refer to Hanoi, Ho Chi Minh City, Hue, Hoi An and Ha Long Bay as the 5Hs of Vietnam, the five must-visit places when planing a trip there. So before I forget again, here are photos from the trip which are now in the Ivan About Town FB page. In September 2010, I visited several cities in South Korea by train from Seoul including Gyeongju, Yandong Village (also in Gyeongju), Hahoe Village (Andong) and Suwon. Again, it's been quite a while and I haven't had time to write about the trip. So in the meantime, here are photos from the trip which are now in the Ivan About Town FB page. 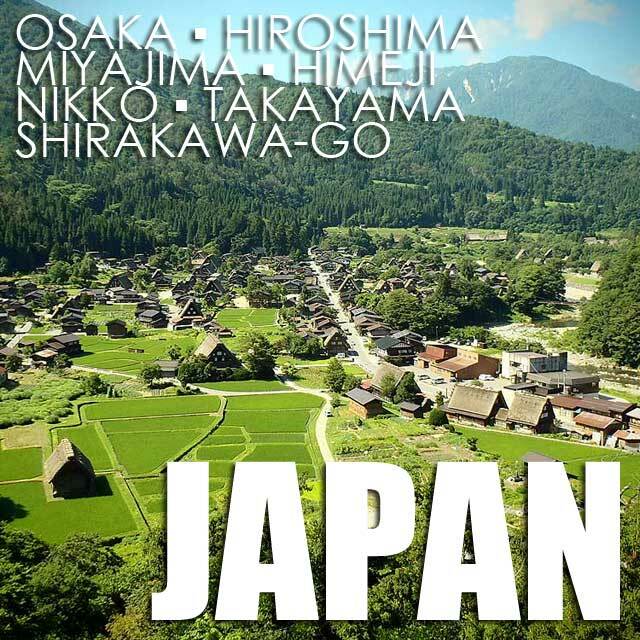 After five days in Hiroshima to attend the UNITAR Series on the Management & Conservation of World Heritage Sites 2011 (where I celebrated my birthday) and another five days exploring Miyajima, Himeji, Nikko, Takayama, Shirakawa-go and Osaka, I'm finally back in Manila. Here are photos from the trip which are now in the Ivan About Town FB page. I'll also try to upload photos of a 2008 trip to Tokyo, Kyoto, Nara and Nagoya which are currently in my Multiply. 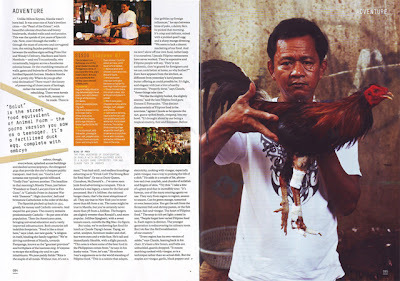 The Philippines is a country rich in cultural and natural heritage. 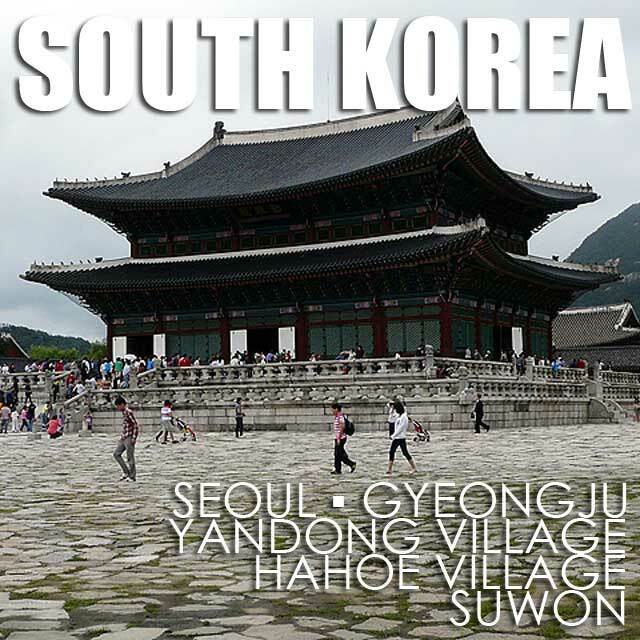 But unfortunately, it has not had any site inscribed in the UNESCO World Heritage List since 1999. There are several factors behind this including (1) the lack of awareness about UNESCO World Heritage among local stakeholders, especially the indigenous communities, local governments and residents that live around these potential sites, (2) the absence of competent people who are fully aware of the processes involved in preparing and providing the correct documents for nomination as World Heritage; and (3) the lack of government funding to prepare and support these nominations, among many others. 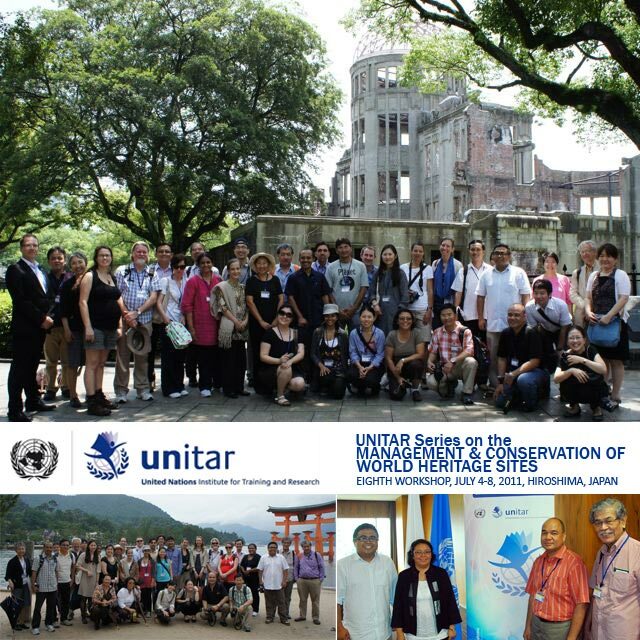 It was thus timely that the theme for the UNITAR Series on the Management and Conservation of World Heritage Sites this year was Preparing World Heritage Nominations: Continuity and Change within UNESCO's New Manual. In previous workshops, the focus was on management and conservation. I sent in my applcation and was lucky to be among the 26 selected from over a hundred applications from around the world. Two other Filipinos were with me this year: Dr. Florentino Hornedo, the new lead consultant for the Batanes nomination, and Erwin Sebastian of the National Museum. There was a heavy emphasis on Comparative Analysis which is the key element in nominations. And ironically, it's one which many take for granted. The UNITAR training was definitely an eye opener on the UNESCO nomination process. It's now evident why we haven't had any Philippine nomination succeed in over a decade! One thing I learned is describing your property as "unique" is the worst argument one could give for UNESCO nomination. In reality, all sites are not unique and there are always similar properties it can be compared with. Outstanding Universal Value (OUV) based on at least one of the ten criteria has to be clearly established. Comparative Analysis is one of the most vital parts of the UNESCO nomination. In fact, it may be the most important. This is where many nominations fail. Extensive comparison with other similar properties is vital to prove OUV and push nomination forward. Most nominations also fail to draw conclusions. Why is it of OUV? Why is it the most representative of a particular category? Why should it go on the UNESCO World Heritage List? Nominations require deep analysis to succeed, not just a mere description of the site. You have to give clear answers to the whys. That being said, Dr. Hornedo mentioned to me at the training that Batanes might have to wait until 2013. The whole nomination dossier has to be rewritten because the previous one did not hit the mark. After hearing some points from the previous nomination papers and after five days of training on the UNESCO nomination process, I tend to agree. Patience is a virtue. You have to make sure you get it right before submitting. Those writing the dossier simply don't know what the committee is looking for. Again, the key is on Comparative Analysis since it is this section which will prove OUV. The problem is, even without the inscription, Batanes is already facing conservation issues which have to be addressed if it is to get inscribed. A management plan is vital for inscription in the list. Over a year ago, I raised the alarm bells after visiting the village of Savidug in Sabtang. Several concrete houses were being constructed at the same time, damaging the architectural integrity of the village. In fact, the issue was raised in the PDI. Several politicians retorted, "What right have you in Manila to tell us how to build our houses in Batanes?" They do have a point. But as Dr. Hornedo pointed out, it's the same politicians who modernize their houses who are also earning from tourism! The reply to these arrogant politicians is, "What right have you to earn from tourist arrivals when you are the ones who destroy the very attraction people come to visit?" As Dr. Hornedo puts it, it's double persecution. It's the less-privileged Ivatans who do not have the money to modernize or build concrete houses. And yet their stone houses are the attraction. Isn't it ironic that they do not earn at all from tourism! And here are the politicians, who build houses made of hollow blocks, they are the ones who make money from tourism. And yet they destroy their own stone houses. Now who would fly all the way to Batanes and take the falowa all the way to Sabtang just to see hollow block houses? People who earn from tourism in Batanes, especially these local politicians, are the ones who benefit most from visitors who travel to Sabtang to see the stone houses. And here they are arguing for the right to build modern houses! These politicians better wake up and preserve those traditional Ivatan villages before it's too late. There's nothing bad about building new houses. But there should be strict style guidelines on how they should be built. And French windows definitely don't fit in! During my recent visit to the village of Shirakawa-go, a UNESCO World Heritage Site, you could see how modern houses blend well with the traditional. Batanes should start implementing strict style rules for new constructions. Anyway, we plan to organize similar workshops in the Philippines for local communities with sites in the Tentative List. I look forward to assisting localities in getting inscribed to the UNESCO World Heritage List. It's about time we get things right and get things done! Nominating cultural and natural sites to the UNESCO World Heritage List is no easy task. It takes many years, at times over a decade, to get a property inscribed. There are times that after all the hard work, the property gets rejected. Which is why it is important to understand the nomination process and what the World Heritage Committee and evaluators from ICOMOS and IUCN are looking for. If you are from a community with a property on the Tentative List, here are some documents to help you understand the process. If you are really serious, you will have to go through these documents of over a hundred pages each. It's a lot of reading, but definitely necessary. As part of the Maila Ta Fan Boka Festival tour, we were introduced to festivals and fiestas in Guam. 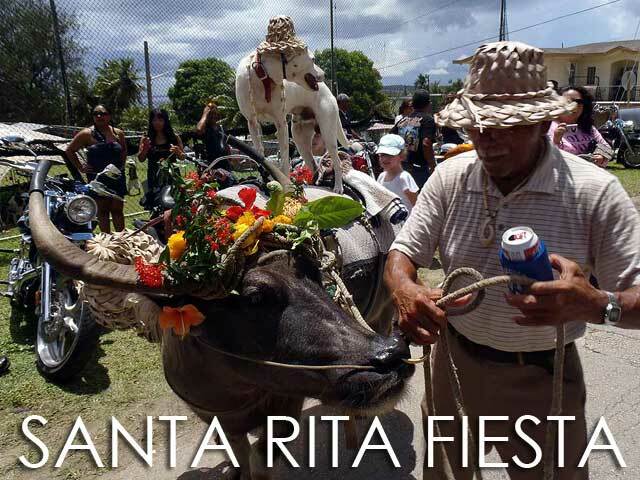 Fiestas are a result of the Spanish influence in Guam. We got to join the revelry at the Agat Mango Festival and the Santa Rita Fiesta. 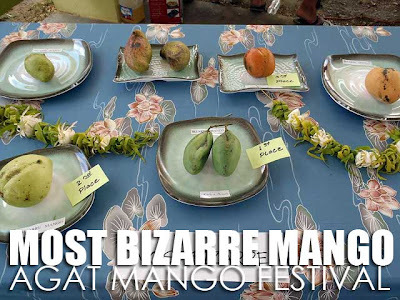 At the Agat Mango Festival, we saw some really interesting exhibits of mango varieties. How I wish I could try them out. But they were only for display. But you could see that there are so many varieties of mangoes. There was one table which featured six ways of enjoying your mangoes. 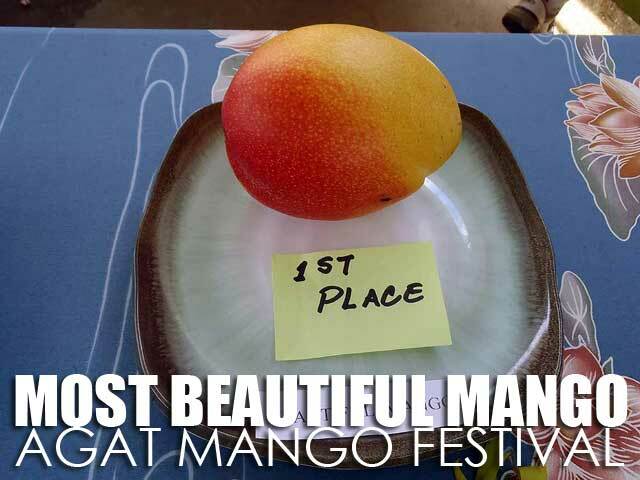 We all know the mangga't bagoong from the Philippines. 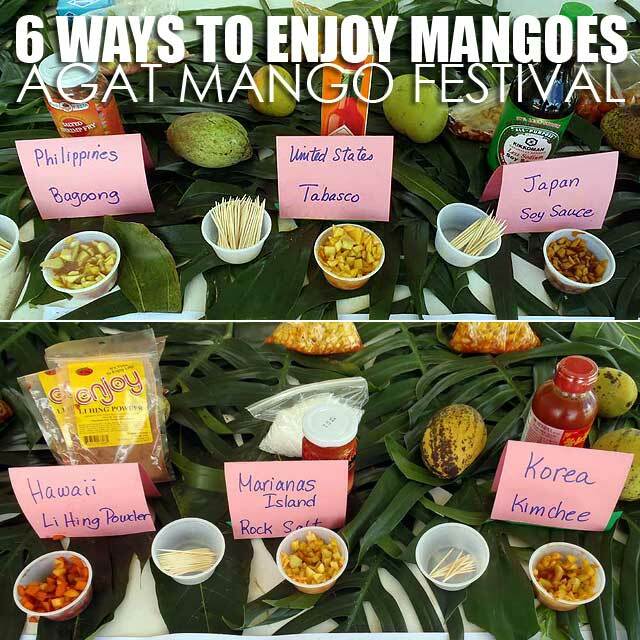 But they also suggested to pair mangoes with Tabasco (U.S.), soy sauce (Japan), li hing powder (Hawaii), rock salt (Marianas Islands) and kimchi (South Korea). In Mexico, I got to try mangoes with chili powder. Fruits are actually eaten with chili powder in Mexico. Any peculiar mango dips you might have in mind? The also had contests for the Most Beautiful Mango, Biggest Mango and Most Bizarre Mango. 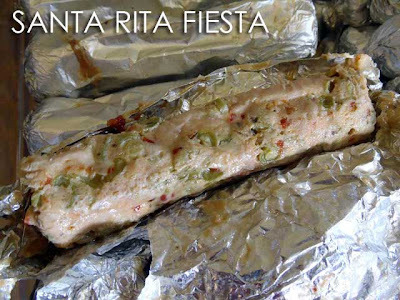 Of course, like in any festival, we had a sumptuous lunch. During our last day, we dropped by the Santa Rita Fiesta. Aside from the usual cultural performances, the highlight of the day was lunch at the mayor's house. Now that was indeed a feast! Fiestas in Guam would not be complete without hotnon babui! 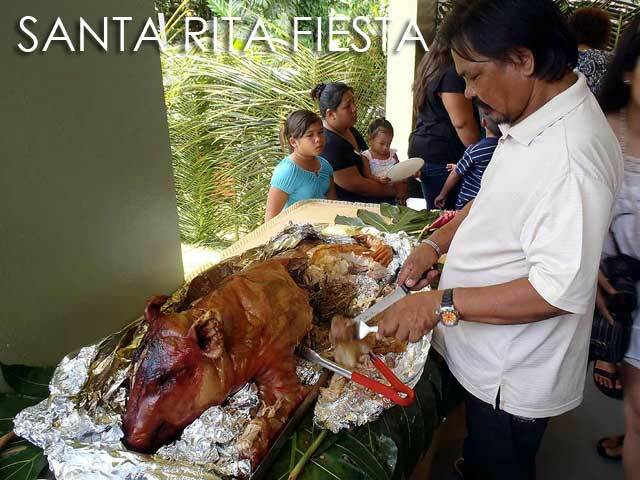 You guessed it, lechon! Fiestas would also not be complete without the different kinds of kelaguen made from fish, chicken an beef. There was just so much food! I let the photos tell the story of how much we had. And that's just half of the dishes they served us. Here is a list of fiestas and festivals in Guam. 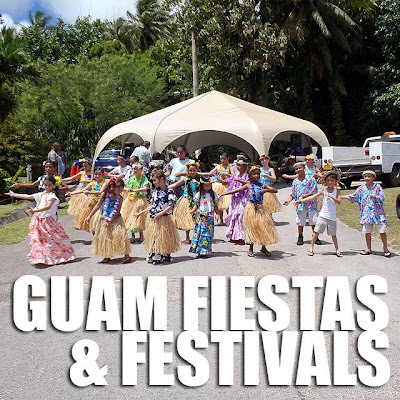 Unlike the Philippines where most fiestas are fixed even if it falls on a weekday, Guam's fiestas are moved to the nearest weekend closest to the feast date of the saint. So the dates below reflect those for 2011. Check with the Guam Visitors Bureau for the dates next year. 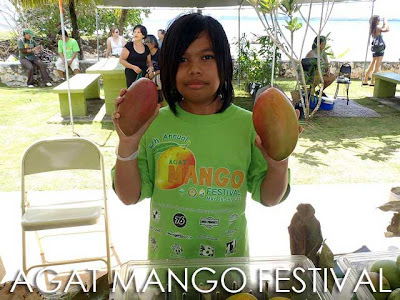 Note: This familiarization tour of Guam, USA was organized by the Guam Visitors Bureau in cooperation with Continental Airlines. 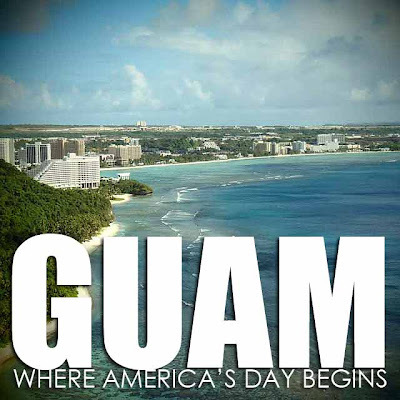 Continental Airlines flies from Manila to Guam and vice versa everyday. Guam is a duty-free territory. So that means branded merchandise and many other products are cheaper in Guam than the rest of the U.S. and a lot of countries. Those who've been to the U.S. also know the sales tax which can go as high as 12 percent. Guam does not have a sales tax. 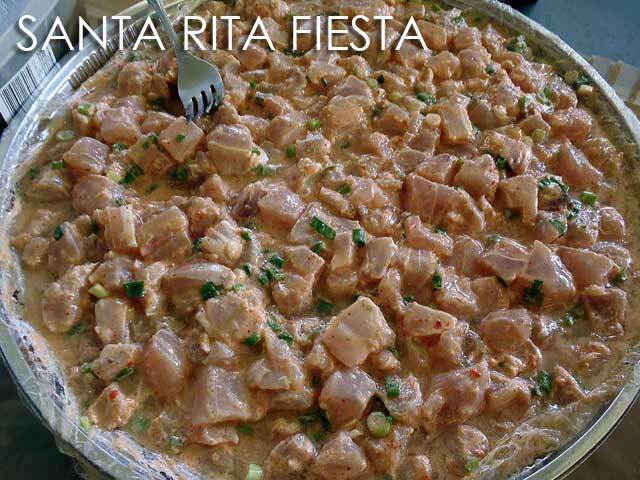 Which gives another reason to shop in Guam. 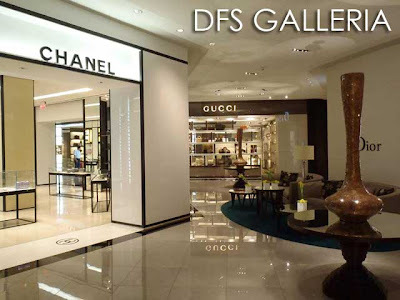 For the prestigious brands and designer goods, the best place to get them would be at DFS Galleria Guam. We actually had a chance to shop there and some of the affordable brands were cheaper than other places. Of course I didn't bother to enter those really expensive branded stores. But I'm sure those who can afford them will find a lot of bargains there. 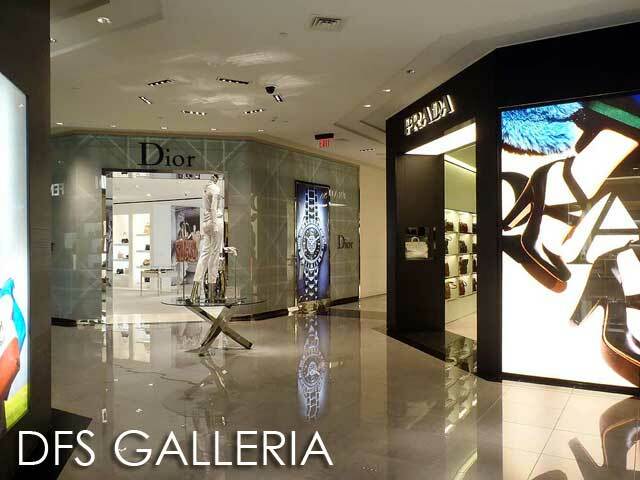 You can check out the brands at DFS Galleria Guam here. 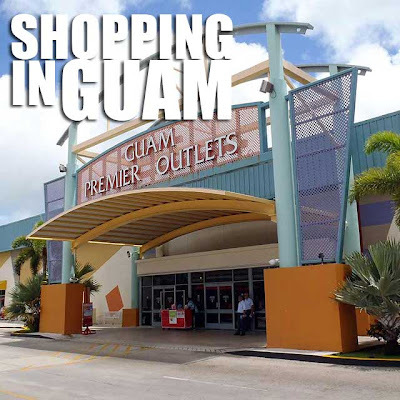 Guam Premier Outlets was another place we got to visit. I suggest you visit Ross first to have a point of comparison with other stores. Most of the time, Ross comes out cheaper. Sometimes they don't. There are also items which you may not find in Ross which are available at the brand stores. Here's the GPO store listing. You can also check out Micronesia Mall which I got to visit during my previous trip to Guam. Here's the mall map and store listing of Micronesia Mall. It's actually owned by Lucio Tan. SM isn't far behind with the Agana Shopping Center which I have yet to visit. If you're looking for a place to shop without having to fly all the way to the U.S., keep Guam in mind. Note: This familiarization tour of Guam, USA was organized by the Guam Visitors Bureau in cooperation with Continental Airlines. 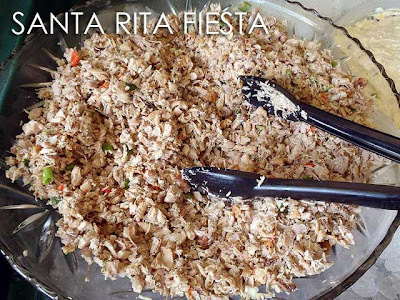 Continental Airlines flies from Manila to Guam and vice versa everyday. Time to book that shopping trip now! 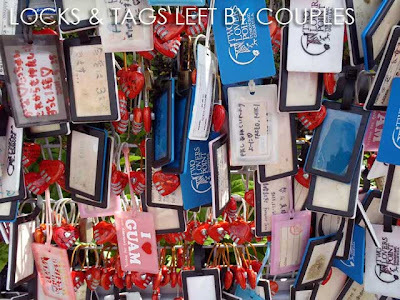 Guam is not just about shopping, food and the beach. 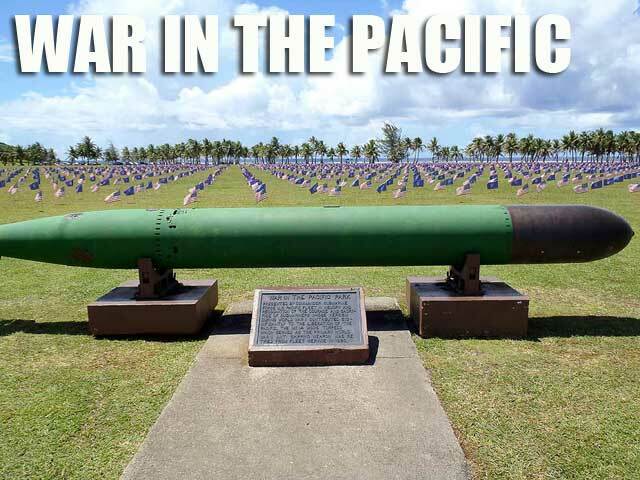 There are some interesting things to see while in Guam. As part of the Maila Ta Fan Boka trip, we also visited several Guam attractions. One of the places we visited was the Lina'La Cultural Village, where the group was given a preview of the living Chamorro museum that will open sometime this year. 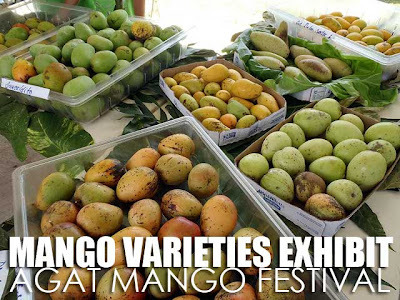 While the exhibits which would showcase Guam's history were not yet finished. 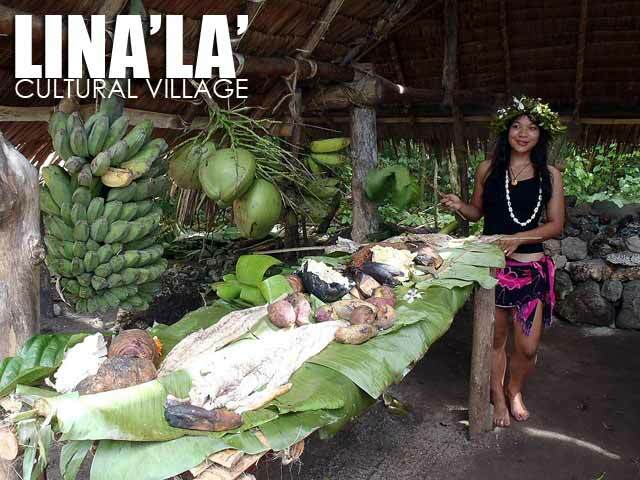 The actual Chamorro Village was almost done. 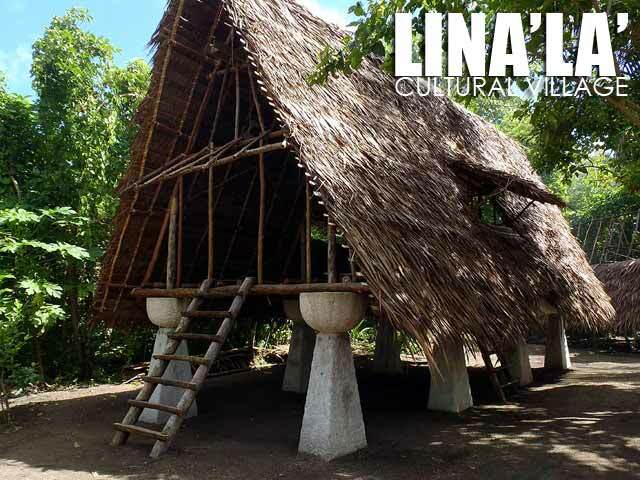 In fact, we witnessed ceremonies for placing the nipa roof on the last house. The village aims to recreate how a Chamorro community looked like before the arrival of the Spanish colonizers, with villagers to complete the living exhibit. The villagers would also speak only in Chamoru. Lunch was by the beach beside the village. 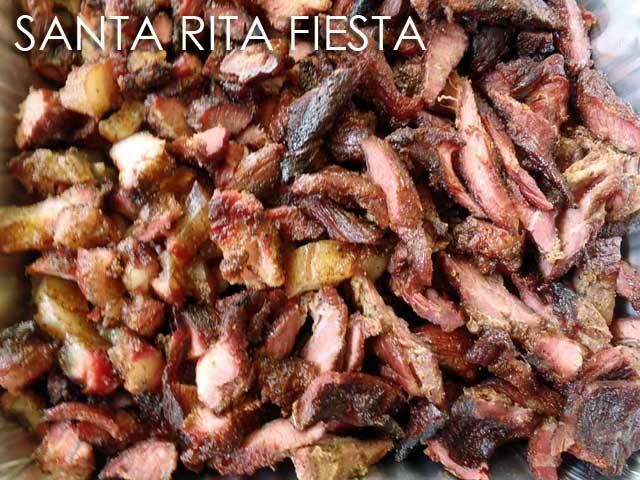 Like always it was a feast of grilled meats and kelaguen! 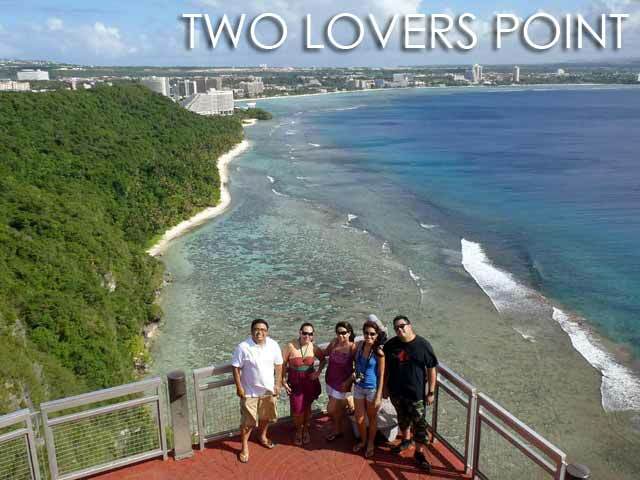 In the afternoon, we proceeded to Two Lovers Point, one of the most picturesque views on Guam. The story behind Two Lovers Point is about quite tragic. 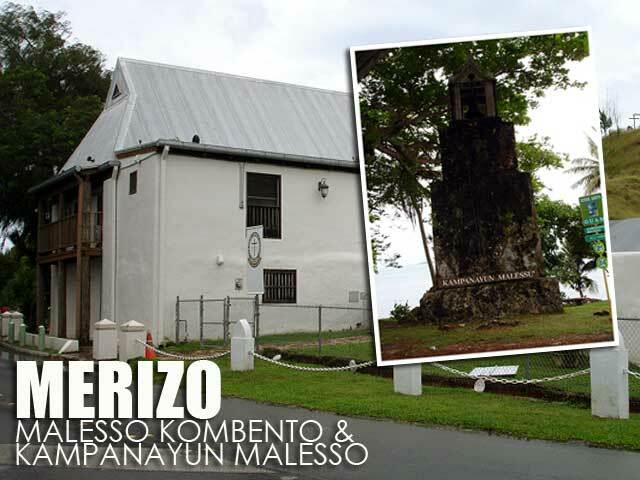 The parents of the girl were a wealthy Spanish aristocrat and a daughter of a great Chamorro chief. They had arranged for her to marry an influential Spanish captain. Upon finding out, the girl ran to a secluded shore in the northern part of the island where she met and fell in love with a young warrior from a modest Chamorro family. The father found out about this and demanded that she marry the captain at once. She ran off to a high cliff above Tumon Bay to meet her Chamorro lover. They were pursued by her father, the captain and soldiers. Caught in between the cliff and the pursuing group, the lovers tied their long hair together in a knot, looked into each others eyes and kissed, and jumped from the cliff in full view of the girl's father who could do nothing but stare in anguish. Two Lovers Point has thus been a popular place for lovers to leave locks (in the same way that the lovers locked their hair in a knot) and throw away the keys over the cliff as a sign of lasting love for each other. The rest of us go there for the great view! 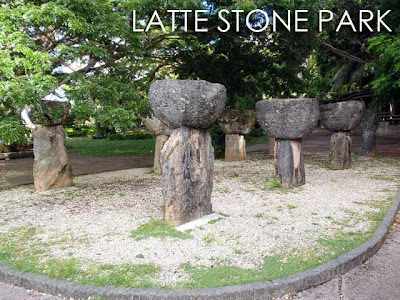 Later in the afternoon, we got to visit the historical center of Guam's capital Hagåtña. 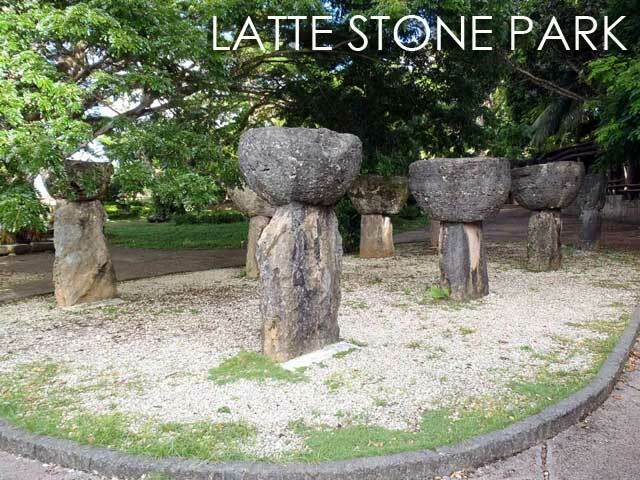 Among the sites located there is the Latte Stone Park which is a showcase of latte stones that served as pillars of ancient Chamorro houses. 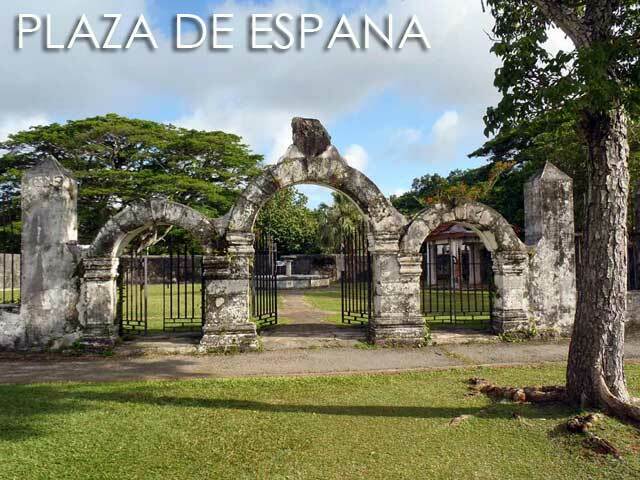 some of the stones in the park date back to 500 A.D.
Then there's Plaza de Espana, the ruins of the former Governor's Palace during the Spanish colonial period. Like Manila, much of Hagåtña was destroyed during the liberation of Guam in World War II. Beside it is the Dulce Nombre de Maria Cathedral-Basilica. The current structure dates back to 1959, with the older church also destroyed during the war. 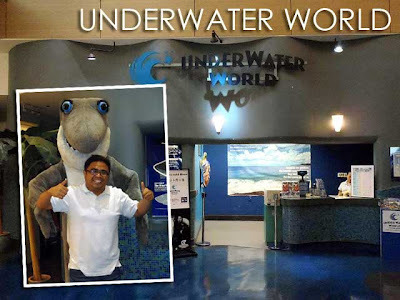 The day before we left, we made a brif visit to Underwater World, an indoor aquarium. Perfect place to visit especially if you have kids with you. 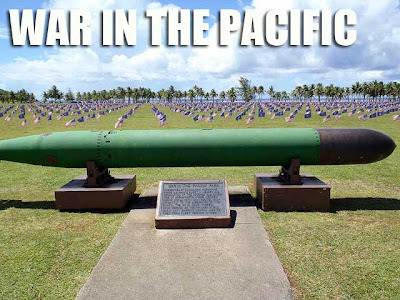 During our last day, we were able to convince our driver to stop at one of the sites of the War in the Pacific Memorial. Memorial Day was approaching so the grounds had hundreds of American and Guam flags to commemorate the event. I was also able to get a stamp for my U.S. National Park Passport. In the southern part of the island are some of Guams old towns. There are old forts, villages and other historical structures. I got to visit Merizo in a previous trip where the old convent and bell tower still stands, the Malesso Kombento and Kampanayun Malesso. 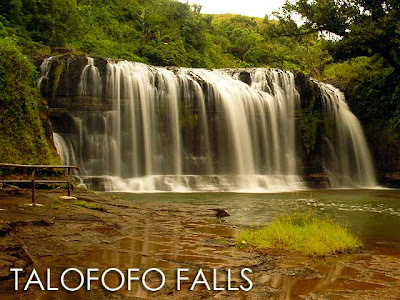 Another popular attraction in the southern side of Guam is Talofofo Falls. Hopefully I get to see more of Guam in the future. Ivan About Town © 2005 – 2017. Powered by Blogger.